Are you thinking of buying a travel DVD for kids? 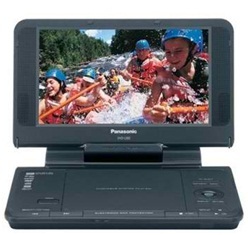 We have the top 10 portable DVD players for kids right here. Buy one of these gadgets and they might just stop asking “are we there yet?” during those long road trips. 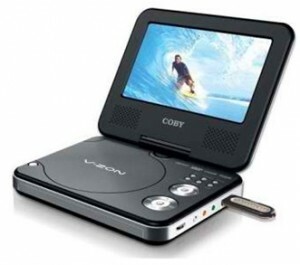 These portable media players are perfect for children because they’re compact, light enough for them to carry, and can play their favorite DVDs. Just ask them to plug the headphones when they’re using these portable players (unless you plan to sing along the ‘I love You’ song with Barney). It has a decent screen size of 8.5 inches and shows above average resolution. 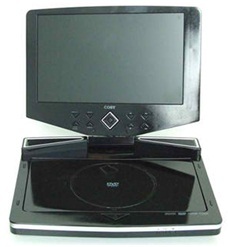 The GPX PDL 805 supports most CDs and DVDs. It can run Kodak picture CDs in NTSC and PAL. The only downside to this is the weight which can be an issue for the smaller kids (it’s heavy at 6 lbs. ), and its inability to play DVD-R and DVD-RW. 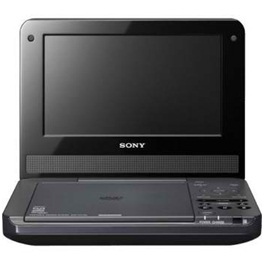 This portable DVD player has a decent look and a strong frame—perfect for kids who have the tendencies to drop things. It has a 7-inch screen but still displays decent resolution. Like most players, the screen can’t swivel (which is a disadvantage). This player has a mid-range price but is packed with features. It has a large 10.2 in swivel screen, a remote control, an anti-skip feature and a parental lock. It also has two jacks for headphones so that 2 kids can listen in without sharing headphones. The screen is okay at 8.5 inches but the battery life on this player is its strong point. It can reach up to 6 hours (if you bring the screen brightness down to the minimum). It’s a good-enough DVD player from a known electronics company. This one is small (with the screen only 7 in) but it sports a classy and glossy look. The speakers pack some power and it has a remote control. It also has a car adaptor to power the player during long road trips. This portable DVD player is cheap, costing less than $90. The only drawback is that this player comes with some bulk considering its tiny size. 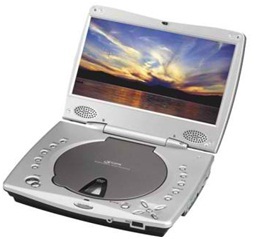 Still is a great investment for your kid if you purchase this portable DVD player for kids. 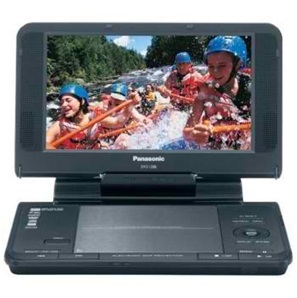 The DVD LS86 from Panasonic is strong because of its long battery life. The screen is ok at 8.5 inches and supports several media formats. What’s surprising is that it doesn’t have any remote control. And the resolution is only so-so. This player was built to be used in the car—it comes with screws and brackets for you to install it in your vehicle. Its screen is small at 7 inches but the display is still noteworthy. You should check out the fast-forward speed in this player—it goes as high as 32x. 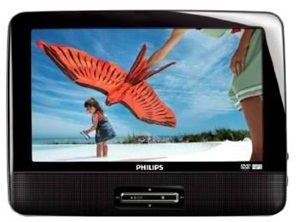 The sleek and classy look of this DVD player should give you a clue to its video capabilities. The DVP FX390 has resolutions of 800 x 480. The battery of this gadget is good enough to last 6 hours and the audio quality is also good. Also comes in different colors (talk about stylish). 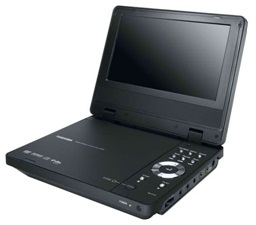 You should be impressed with the 9 inch screen of the Toshiba SDP93s. With the large screen, you should expect high resolutions (up to 800 x 480). And it has an SD card reader so you can plug in watch your media files with this player. The only drawback is that it doesn’t have a USB port. Which DVD player for kids listed here are you interested in? NUTRITIONAL YEAST NUTRITION FACTS – WHAT’S WITH THE OBSESSION?